引用格式：吴铮 , 刘冀珑 . (2019). 果蝇组织免疫组织化学. Bio-101: e1010256. DOI: 10.21769/BioProtoc.1010256. How to cite: Wu, Z. and Liu, J. L. (2019). Immunohistochemistry of Drosophila Tissues. Bio-101: e1010256. DOI: 10.21769/BioProtoc.1010256. Liu, J. L. (2010). Intracellular compartmentation of CTP synthase in Drosophila. J Genet Genomics 37: 281-296. Tastan, O. Y. and Liu, J. L. (2015). 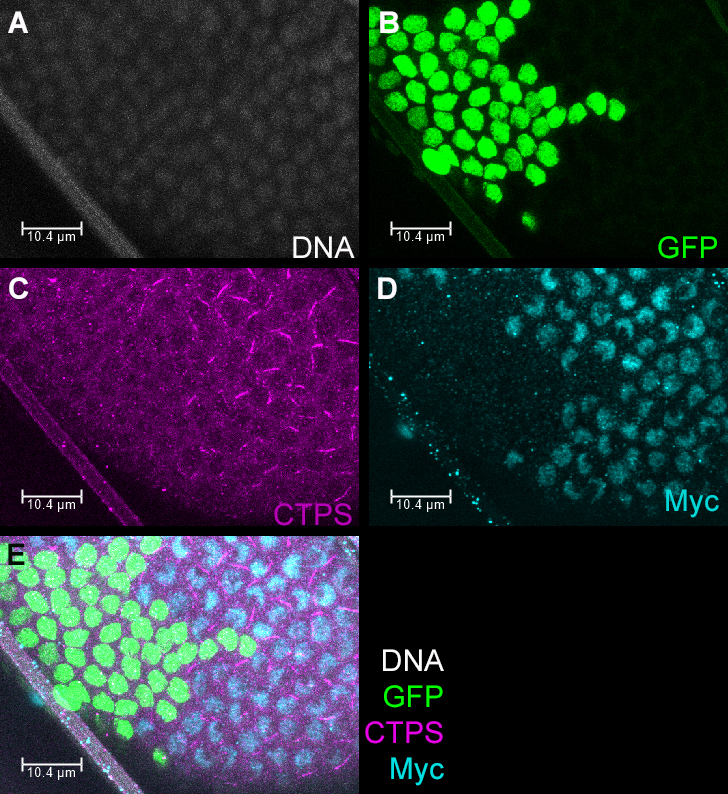 Visualizing cytoophidia expression in Drosophila follicle cells via immunohistochemistry. Methods Mol Biol 1328: 179-189. Aughey, G. N., Grice, S. J. and Liu, J. L. (2016). The interplay between Myc and CTP synthase in Drosophila. PLOS Genet 12(2): e1005867.